An abscess behind the ear is a common side effect of an internal infection. This bump filled with pus may vary in size and can present an array of symptoms, dependent upon severity and cause. Most abscesses behind the ear can be treated at home over several days. A large or deeply infected abscess may require medical attention and possible surgical removal. An abscess develops as the body’s immune system fights an infection caused by a bacterial, viral, or fungal pathogen. Fever, chills, swelling, pain, and skin redness may indicate the growth of the abscess. There are two types of abscesses. The average type is seen on the skin’s surface, while an internal abscess is more difficult to diagnose. 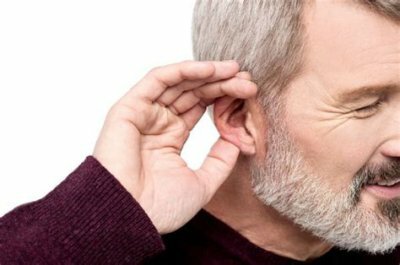 What Causes an Abscess behind the Ear? An abscess behind the ear, or on any part of the body, is most frequently caused by a bacterial infection. It may be a strain of either the Staphylococcus aureus or a Streptococcus bacterium. As harmful bacteria enter the skin through a small cut or sore behind the ear, the immune system releases white blood cells to fight the infection. These cells, along with dead skin, dirt, and debris, may collect as pus. Once this pus begins to accumulate inside the abscess, the skin’s surface becomes inflamed, red, and swollen, and pain may develop. Symptoms of an abscess behind the ear may go beyond the abscess itself. For example, an abscess deep within the skin may cause fatigue, weight loss, lack of appetite, diarrhea, and frequent urination. The following symptoms are common with abscesses on the skin’s surface. Depending on the cause and severity of the lesion, abscess behind the ear treatment may be done at home. More serious cases may require medical treatment, including prescribed antibiotics. For home treatment, the abscess is not to be touched or squeezed to avoid the spread of infection. A warm compress on the abscess may stimulate natural drainage of the pus. It may take several tries. After a couple of days’ draining, the abscess should begin to heal. It is important to keep the open sore clean and dry with gauze dressings. Change as necessary. Use over-the-counter medication to address any pain; those with stomach ulcers or liver disease should discuss pain management with their doctor. For medical treatment, the location and size of the abscess is also a concern. Antibiotics may be essential to prevent the spread of infection. Drainage of the pus-filled abscess may be done by needle or an incision under anesthesia. This allows the surgeon to remove all fluid and properly clean the inner portion of the abscess. Doctors may pack deep abscesses with an antiseptic gauze. After healing, a small scar may appear. While precautions for external bumps and sores can be taken, internal wounds that develop into an abscess may not be as easily prevented. This depends on the underlying health condition that caused it. Keep the skin clean to reduce abscess risk. Wash your hands several times throughout the day. Use caution when shaving legs and sensitive areas to prevent small cuts. Maintain a healthy diet of vitamins and minerals. Consume immune-boosting foods such as citrus fruits, bell peppers, almonds, and yogurt. Maintain a healthy body weight to prevent the development of large folds of skin where an abscess can develop. Avoid smoking, as the chemicals impair the body’s ability to fight infection. With any treatment, particularly home treatment, there are signs and symptoms to watch for that may require immediate medical attention. An abscess behind the ear is a collection of pus beneath the skin’s surface. Filled with dead skin tissue, debris, and white blood cells, the pus forms due to an infection of the skin. As the surrounding tissue dies, the abscess can become bigger. It may present pain, swelling, redness, and drainage of the yellow-whitish pus. Complications may allow the abscess to grow deeper into the tissue. Abscess behind the ear may respond to home treatment over a period of several days. A serious infection may need medical assistance or surgical removal of the abscess. “Abscess,” Health Service Executive; http://www.hse.ie/eng/health/az/A/Abscess/Treating-an-abscess.html, last accessed October 23, 2017. Oakley, A., “Abscess,” DermNet New Zealand, 2013; https://www.dermnetnz.org/topics/cutaneous-abscess/, last accessed October 23, 2017. “Skin Abscess Overview,” eMedicine Health; https://www.emedicinehealth.com/abscess/article_em.htm, last accessed October 23, 2017. “Abscess (Incision & Drainage),” Fairview; https://www.fairview.org/patient-education/115683EN, last accessed October 23, 2017.